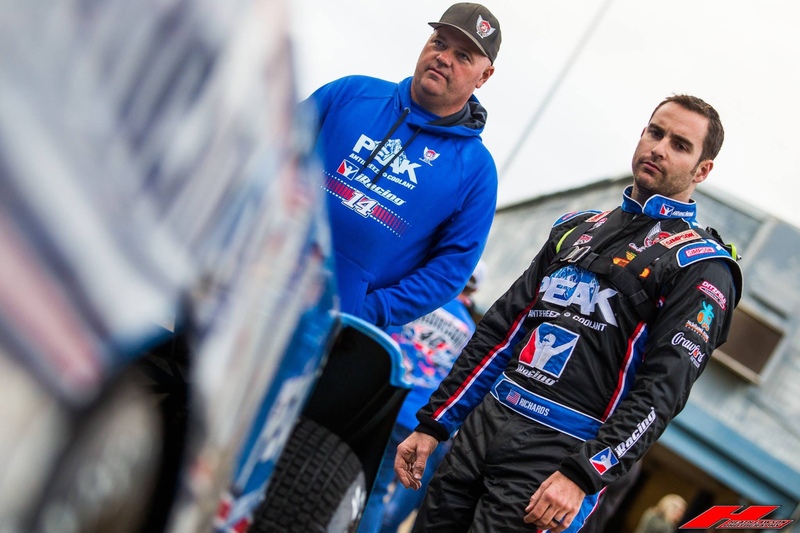 After leaving Best Performance Motorsports for Clint Bowyer Racing this season, Josh Richards is hoping to make purposeful gains Saturday at Hagerstown Speedway, a place the five-time national touring champion is fondly familiar of. The Shinnston, W.Va., native grew up racing at the flat, half-mile oval and has seven career wins at the track. Saturday’s Stanley Schtrompf will be the 13th race under his new team, as Richards sits fifth in the LOLMDS points standings amid the adjustment from Chevy from Ford and a new workplace. Even though Richards has plenty of experience at the track, he’s learned to dim expectations in Hub City. Last year, Richards was fourth in the B-Main to barely avoid a provisional for the feature, where he salvaged a 13th-place finish. 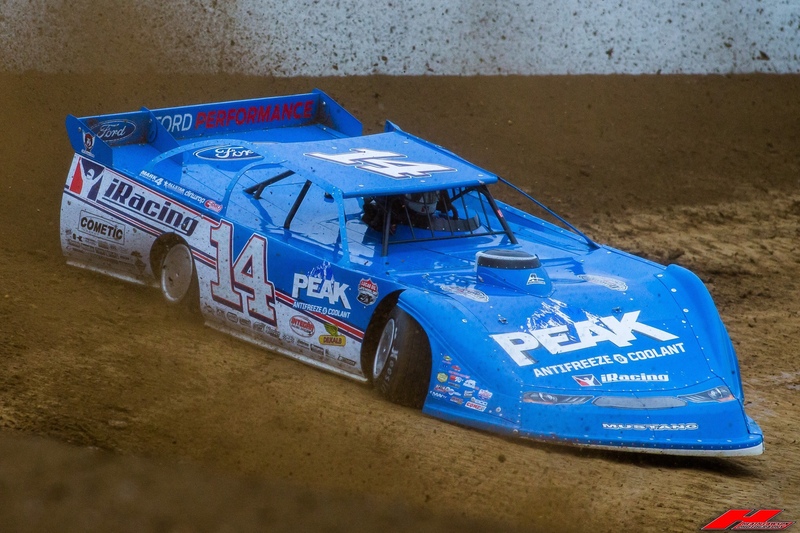 Josh Richards rips around Ohio’s Atomic Speedway in is Peak Antifreeze Clint Bowyer Racing No. 14 XR1 Rocket. Photo by Heath Lawson. Through 12 races, Richards sits fifth in the standings — 375 points behind current leader Jonathan Davenport — with three podium finishes and four top-sixes. On Thursday night, Richards was the quick-time recipient in the LOLMDS race at Atomic Speedway in Ohio, but a broken shock in the feature on Lap 22 of 50 foiled a promising night. Richards hopes to park it in Victory Lane at Hagerstown Speedway for the first time since 2011 on Saturday night.  “We’ve had a decent start to the year,” Richards said. “I’m happy with my team. I’m really happy with my crew; happy with my guys and everything. We’re just trying to get it all lined up.